You can change your view in To-do to see all tasks that you have assigned to others on your team. 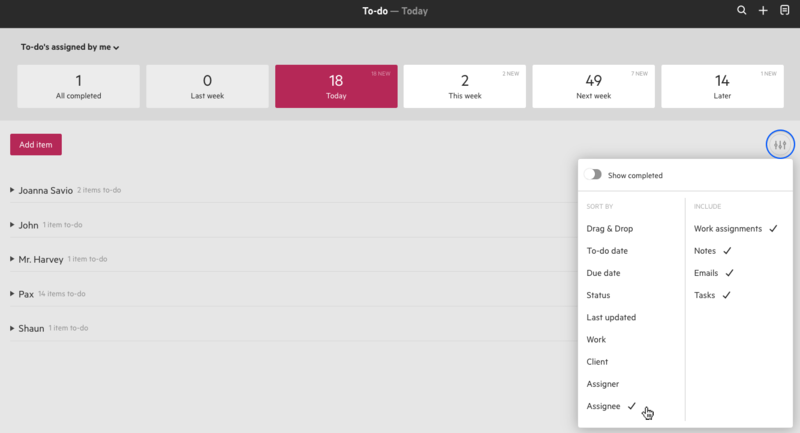 With the visibility provided by your To-do section, you can select to see all tasks that you have assigned to others on your team, in one view. This is a useful way to keep track of all the outstanding items you are waiting on team members to complete. From the drop-down menu in the top left of your page, select To-do' assigned by me. A useful way of sorting the to-do items you have assigned, is by assignee. This will categorize all the tasks into the team member responsible for them.